Because of Jesus, every believer has access to a rich inheritance, which includes salvation, healing, deliverance, protection, and countless other blessings! Discover how to enjoy what rightfully belongs to you. • God has given every believer a rich inheritance through Christ. But to experience it, you must know what belongs to you. 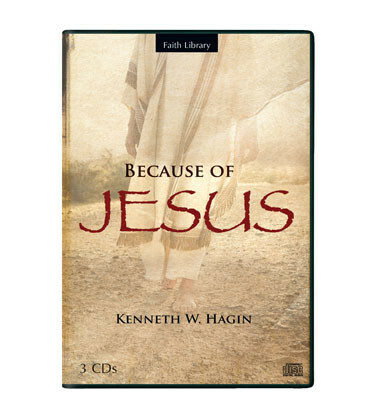 In this 3-CD series, Kenneth W. Hagin reveals through Scripture the many blessings you now have as a child of God, which include freedom from sickness and disease. You will also gain a better understanding of the power of confessing the Word in the midst of adversity. • Your life will be transformed as you see yourself from God’s point of view and think and speak in line with His Word. Because of Jesus, your days of defeat are behind you. As you take a stand and walk in all that your Heavenly Father has promised, you can be victorious is every situation you encounter!